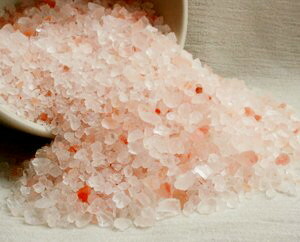 Rich in minerals, Himalayan Salt is a flavorful element, and one of the most pristine forms of salt in the world. 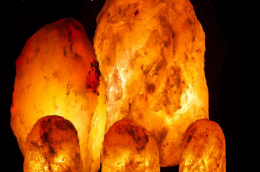 This crystal form of salt has been maturing for over 250 million years, locked safely away in an ancient sea bed beneath the foothills of the Himalayas. Since its introduction on the global culinary scene several years back, Himalayan Salt has become a widely popular alternative to commercially produced salts. It has even become one of the most popular sea salts to use, and is often a featured seasoning in signature dishes prepared by renowned chefs the world over. With all of this high profile success, word of this delicious salt rapidly spread throughout the culinary community. Today, Himalayan Salt is used to season all kinds of foods in homes around the world, and a favorite among DIY culinary wizards! The flavor the salt adds to any dish is no hype, and as millions of food lovers have discovered, it truly can transform any dish into a gourmet specialty. Despite the taboo surrounding salt intake these days, it is in fact a vital substance for the survival of all living creatures, including humans. Water and salt have the ability to regulate the body’s water content, and are critical elements that every living thing needs in order to survive. ➤ The water content of the interior of the cell is regulated by water through the process of osmosis, in which water works its way into and out of all the cells in the body. This process is imperative to cleanse and extract the toxic wastes which are constantly produced by cell metabolisms. ➤ Salt regulates the water content of cells by balancing the water that stays outside of the cells with the amount that stays inside the cells. Optimal health depends on a very delicate balance of water volume which is contained both inside & outside of the cells, which is achieved by the body utilizing salt, hence the important role salt plays in our health. The ordinary table salt you see in most grocery stores has been chemically cleansed and dried at temperatures of around 1,200 degrees Fahrenheit. Because this salt has been heated to such extreme temperatures, its natural chemical structure is altered in such a way that it is basically reduced to nothing but sodium and chloride. The table and cooking salt used in the majority of homes, restaurants, and all processed foods, has only 2 or 3 chemical elements & is all but void of nutritional value, lacking in the precious essential minerals that make salt important in our diet. The salt’s protected environment has afforded it zero exposure to modern toxins and impurities. Because the salt is unprocessed and completely organic, it is free of bleaches, preservatives, and chemical additives, and retains its naturally high mineral content, more than 84 minerals and trace elements essential for good health. Testing of the salt has revealed that it commonly contains 1.2% sulfur, .4% calcium, .35% potassium and .16% magnesium, among other minerals. This high quantity of trace minerals causes the salt to impart a milder, yet fuller salt taste to foods which adds a whole new level of delicious flavor to any dish!! Moreover, the minerals contained within the salt exist in their colloidal form, which means that they are small enough that the cells in our bodies are easily able to absorb them. In addition to its healthy benefits, this gourmet-grade salt adds a burst of flavorful energy to all of your foods! We are proud to offer a full line of Himalayan Culinary Salts; both fine and coarse grain, unprocessed, natural salts along with accessories such as salt grinders and shavers, and even specialty items! In order to avoid cracking, breaking, or shattering of a salt block, it is extremely important to make sure your salt block is properly seasoned and tempered before use. To achieve the best results, the block should be seasoned and tempered slowly and carefully before it is used to cook or grill. Though it is normal for the blocks to develop cracks during the heating process, slowly heating it will help to diminish chances of breakage, as well as fractures which will shorten the life of the salt block. Place the salt block on the very bottom rack in the oven, and turn the oven on to the lowest heat setting, which usually ranges from 120-170 degrees. Once the oven is fully heated, allow the salt block to continue sitting at this temperature for around 30 minutes. Next, gradually increase the oven temperature in 50-75 degree increments, and allow the block to remain at each temperature setting for about 30 minutes to an hour before increasing temperature again. Note: if you have a fast heating oven we recommend heating the block in increments of 25-50 degrees, rather than 50-75, so that the block does not heat up too quickly. Continue to increase oven temperature in increments until the block as reached a temperature of 550 degrees. Next, turn the oven off completely and leave the oven door closed. This will allow the block to cool down slowly. Allow the block to cool completely until it reaches room temperature. *Note: Keep in mind that during the heating process it is completely normal for the block to produce cracking and popping noises. It is also common for the salt block to develop visible cracks or small fractures during the heating process. For Cold Foods: No specific temperature is required to use a salt block to serve cold foodstuffs. Just put the salt crystal serving tray into your refrigerator to chill for an hour or two. Once chilled, the salt tray will maintain at this temperature for a significant amount of time. As soon as salt tray is completely chilled you may serve various cold foods including salads, fruits and veggies, and even sushi and desserts right from the slab! *Never expose a chilled salt block to hot temperatures; it will break just like un-tempered glass. For Hot Foods: Make sure that the block is heated slowly, using the same process as tempering the block, with the only difference being that you now may increase the temperature in increments within 5 minutes of the block reaching each temperature instead of 30. As soon as the block is fully heated you may place your food directly onto it, then watch as the block cooks, browns, and seasons your steak, lamb, fish, shrimp, and other foods perfectly! For Gas Ranges: Put your Himalayan Salt Block onto the burner over a low flame. Allow the block to heat up for about 15 minutes; you will need to allow a longer period of time to heat blocks that are larger than 8″ x 8″ x 2″. Then increase the heat to low medium, until it reaches around 400 degrees F. Your salt block will be hot enough to cook on at this point; you will typically keep the flame at low to medium while cooking in order to maintain optimal temperature. If you need to use a hotter temperature, increase the heat to medium-high flame for an additional period of of time. *Note: The block must reach an optimal temperature of around 400 degrees F to cook foods properly, otherwise the food will come out tasting too salty. For Glass Top and/or Electric Ranges: For this method of cooking you will need to use a metal spacer, such as a wok rink or pastry tin that has a removable bottom. 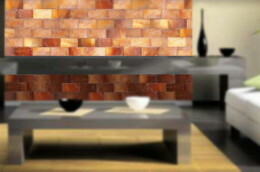 Place the spacer onto the stove; make sure that the Himalayan Salt Block is at least ½ inch above the heating element. *Note: it is extremely important that the salt block does not touch the heating element. Direct contact with the element could damage both your range and your salt block. Once the salt block is in place, carefully follow the instructions above, and allow as much as 5 minutes or more for each step, until the block reaches 400 degrees F.
Using your salt block on a barbecue grill: It will be slightly more difficult to regulate the heat using this method. Place a pre-tempered block directly on the metal grill, and heat slowly, beginning with a low flame and working your way up until the block reaches the desired 400 degrees F.
For use over an open fire or camp fire: Himalayan Salt Blocks can be used to create delicious grilled foods over an open fire or camp fire! We recommend putting the block onto a wire grilling rock near, but not directly over, the fire while it’s being started. A keyhole fire pit works best, allowing the salt block to heat up at a slower rate. Once the fire is nice and hot, use a stick or shovel to scoop hot coals from the fire, and place them under the wire rack your salt block is placed on. (For more imformation about the perfect Himalayan Salt Grilling Campfire, please see “Campire Salt Grilling & BBQ”). *Keep in mind that no matter which method you use to heat a salt block, it is perfectly common for the block to create cracking and/or popping noises while it heats up. Also remember that the salt block will maintain a hot temperature for longer than you may expect, so always be extremely careful to handle a salt block that has been heated. Simply wipe the salt off with a moist towel & allow to dry before re-using. No additional cleaning is required, since the salt is antiseptic and antibacterial. If the surface of your salt block or grill develops “pits” or “depressions” from cooked foods, which happens especially when cooking more moist foods, you may use a fine grit sand paper to sand the surface flat. Sanding your salt block will wear it’s width down slightly, but is sometimes needed to maintain a flat surface for cooking upon. With proper initial heat tempering or seasoning, use and care, salt grills or dishes can be used dozens of times, however, it will eventually “melt” away over time, at which point you can break up the remaining salt & grind or shave it onto your food. It is recommended that 2″ salt blocks be switched to use as a cutting board or for serving chilled foods on once it has worn down to less than 1 1/2″ in thickness. Visit our Himalayan Salt Recipes Blog for great recipes, categorized for easy searching! Enjoy! To season your salt block/slab/tray, start slow. Heat on “low” on your stove top (use some sort of spacer, like a springform cake ring, wok ring etc.) or BBQ Grill for about 20 minutes, then turn it up to low-medium for another 15-20, then medium for an additional 15-20, then high for another 15-20. Be sure to heat it slowly the first time you use it to prevent cracks from forming & extend the life of the block. Always heat your salt slab slowly, if you heat them up too fast, there is a possibility it may crack or break. As the salt blocks are heating up, it is normal to hear little popping sounds. Never heat your salt block in the oven, this is likely to cause your salt block to crack! If you would like to bake on your salt tray or platter for use as you would a pizza or baking stone, heat the salt on a stove top or grill & then place in a preheated oven. I.E., never place a cold salt block in a warm oven. Never cool your salt block quickly, i.e. dunking it in cold water to clean or cool, it will shatter & can pop just as a hot glass baking dish would if it were exposed to cold or even cool water. Always allow your salt block to cool on the range, grill, trivit or wooden cutting block & then simply wipe it off with a clean dry rag or paper towel. To avoid dissolving too much salt into your food, apply a light coating of butter or oil to the salt slab before cooking your food-this will also help keep food from sticking. Salt blocks are naturally antimicrobial; to clean, simply wipe the salt off with a warm wet cloth after use & allow to dry for 24 hrs. before using again. DO NOT use soap to clean the salt & DO NOT put your salt items in the dishwasher. Salt blocks will eventually dissolve with use, however, if properly cared for, the blocks will last for years. In more moist climates, it is best to store dry salt slabs in a dry place, wrapped in plastic wrap or a zip lock bag to prevent moisture from getting to the slab when not in use. Since Salt Glasses and bowls will be used for holding liquids, rinse quickly with water and dry immediately with a towel after use, then allow to completely dry for 24 hours to prolong use. Once your salt slabs, grills, plates, bowls and glasses have dissolved to the extent that they can no longer be used as such, you can use a Salt Shaver to grind the remaining salt chunks onto your foods! Arrange thinly sliced Carpaccio or Sashimi on a cool salt platter and serve. Watch as the food literally salt-cures while at the table, gently cooking the edges and bringing on just a smidge of mineral-rich saltiness! Heat your Himalayan Pink Salt Block/Slab slowly on your backyard grill until hot, place on a trivit & watch your guests’ amazement & awe as you sear scallops, shrimp, thinly sliced steak or pork right before their eyes, at the table! Serve homemade Strawberry, Peach or Raspberry ice cream right on a frozen salt tray for a sweet & slightly salty treat! 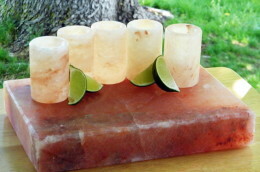 Serve cold soups in Himalayan Salt Bowls. For extra mineral content and a rich, yet more subtle salt flavor, use Himalayan Fine Grain Sea Salt in stews and soups! Chef Jason Hill of “Cooking Sessions with Chef Jason Hill” demonstrates how to grill shimp on a Himalayan Pink Salt Slab at a 4th of July Family BBQ! Himalayan Culinary Salts are unique, innovative gifts for the Holidays! Your family and friends will be delighted with their experience with Himalayan Salts! 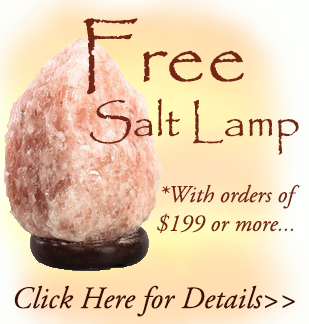 Himalayan Salts make excellent Christmas Gifts! Serve your Mom Salt Grilled Garlic Shrimp & Scallops for Mother’s Day while presenting her with her very own Salt Rock Grill as a gift! *Get the recipe on our blog! 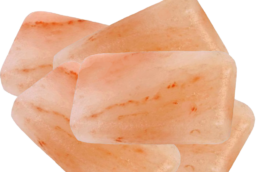 Add some pazazz to your anuall Memorial Day BBQ & impress your guests by grilling your hotdogs, brats or hambergers on a Himalayan Pink Salt Slab! Grill Dad the best steak he’s ever tasted for Fathers’ Day this year, & present it to him on his very own Pink Salt Slab! Chill & serve your Sushi on a Pink Salt Sushi Presentation Blocks for added gourmet flavor & professional presentation your party guests will love! Chill a salt plate in the freezer for a couple of hours, then add scoops of ice cream to the plate, top with your favorite toppings and serve this sweet and slightly salty dessert for summer get-togethers, birthdays or Holidays! Pizza, Bread & Pastries gain a whole new savory flavor when baked on larger salt trays or platters! at Competative Prices, with Fast, Free Shipping!